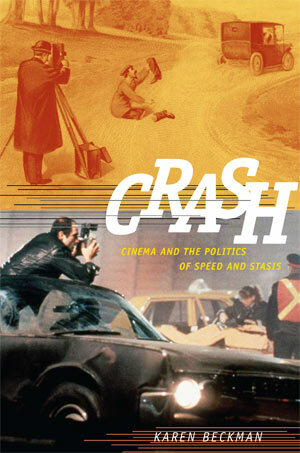 I hope you read the introduction first, as this would clarify my own stake in car crash films. I am constantly surprised that I have written a book on cinematic car crashes—but this element of surprise is what I love about the act of writing. Here the reader will also find my engagement with Vivian Sobchack’s important work on film phenomenology and the corporeal rather than psychic dimension of the film experience. Though there are plenty of comic cinematic car crashes, and I write about those, watching a crash onscreen can be a visceral and even traumatic experience. But it is never the same as being in real crash, or even watching a real crash occur in front of your eyes. Sobchack wrote a very passionate essay criticizing Jean Baudrillard’s reception of Ballard’s Crash. In it, she lambasted Baudrillard for his neglect of the real, physical body’s pain. 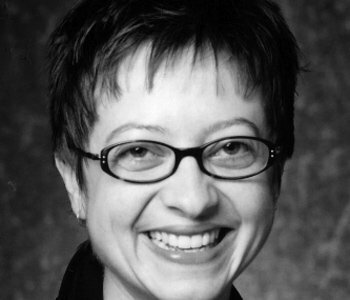 Furthermore, she wrote this essay in the wake of having had her leg amputated, a fact that, for me, brought the the ethical issues surrounding the cinematic representation of historical and fictional suffering bodies into sharper focus in a very challenging way. Chapter Three would also be a good place to start. It looks at how film and photography were used in car safety research as well as how industrial films made by American car companies visually engaged the contradictory fantasies that the automobile seems to provoke. On the one hand, the automobile offers a private interior and safe space akin to a home, except that it allows the driver to be alone in a way that the family home does not. On the other hand, the automobile represents an anonymous, high-speed, and transparent new technology aligned with the psyche’s desire for risk, exhibitionism, transgressive sociality, and speed. Commercially driven, the industrial films of the mid-century emerge at the nexus of this double desire for risky speed and guaranteed safety. Although Paul Virilio has made important critiques of the way ordinary technologies of transportation and vision participate in the militarization of everyday life, my book argues that his work tends to oversimplify the nature of risk and the capacity of cinema. For me, Virilio’s view of both cinema and the automobile is too singular, too totalizing, and also too ahistorical. My approach involves selecting specific examples that offer alternatives to Virilio’s understanding of the interactions among the car, the accident, and cinema. Although examples of the collusion between visual technology and the military proliferate daily, making Virilio’s critique necessary, I wanted to produce a work that would add another voice to this conversation, one that wasn’t ready to just give up on cinema. Another distinction between my approach to the accident and Virilio’s is that we have different relationships with the concept of “responsibility.” My own is informed by the work of Leo Bersani, Douglas Crimp, and Tim Dean on sexuality and desire; by Jean Laplanche’s theory of the drives; and by Judith Butler’s Giving An Account of Oneself, in which, influenced by Levinas, she asks what it means to behave ethically when we know that we can never fully know the self, and therefore can never fully control what it does. I am interested in exploring what comes out of this movement between psychoanalysis’s focus on the subject and the unconscious, and a focus on social and political structures. Virilio is constantly frustrated with the blindness, violence, and stupidity of human behavior; I am interested in where we go after that.